Tonight my husband had a craving for scones (or ‘biscuits’ for those of you from America). Despite loving baking, for many years I have found the simple scone a struggle. As a newlywed, keen to impress my in-laws, I whipped up a batch of scones. Looking into the oven 12 minutes later, my confidence was dealt a cruel blow when I was confronted with small, hard rocks. Even Polly, our six-month-old Golden Retriever turned her nose up at them. And considering she’d eaten my watch and my parent’s camping tent the week before, that said a lot about my baking skills. Fast forward thirteen years and I have finally discovered the key to a successful batch of golden, tall scones. It turns out that scones need more than just self-raising flour to rise. They need other scones. And not in neat, spaced out rows like biscuits. They need to be bunched in real tight – with their edges just about touching. Positioned like this, something magical happens. I’m no scientist, all I know is that the scones somehow help each other on the journey upwards. And presto! 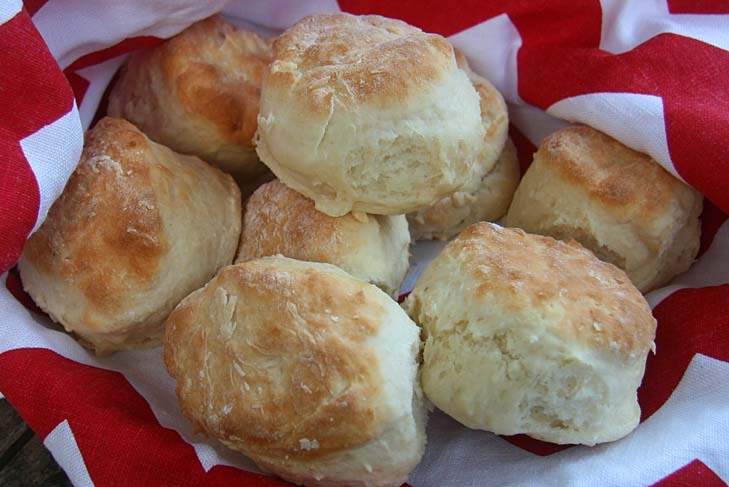 They come out of the oven as the light, fluffy scones we all love to eat with jam and cream. Showing my four-year-old daughter how to position the scones close together on the tray tonight, something struck me. As women, we’re like scones. We’re built for relationships. When the going gets tough – when the heat is on – we need close friends and family to stick close by. If we attempt to cope all alone, it’s more than likely that we’ll struggle to meet our full potential. For those of us living life with bipolar disorder, or another form of mental illness, it’s even more important to surround ourselves with supportive people. My close friends and family have stuck by me through the best of times and the worst of times. When I became unwell after my first son’s birth, our parents and my sisters helped my husband look after our six day old baby. Other friends dropped off meals and a couple even braved the (very scary!) psychiatric ward to visit me. In recent years, as I’ve started to get back into my career, my close circle of friends and family have built up my confidence in my abilities and encouraged me to grow. When my daughter and I pulled those scones out of the oven tonight, they had grown so tall that from a distance they looked like one giant scone. I guess scones are a good analogy for life. Instead of isolating ourselves and just focusing just our own needs and wants, we should seek to be part of a supportive community, all helping each other to reach our potential – our own version of a “giant scone”! Do you have have a group of friends or family to encourage you? I would love to hear your thoughts below.